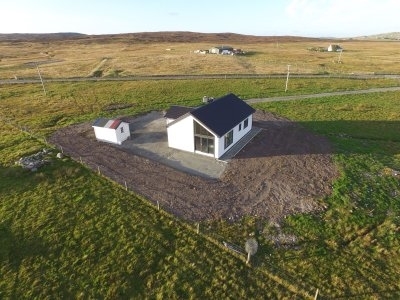 East-Gate is a newly built modern property located in central Shetland and finished to a very high standard. It is still a work in progress on the garden front. Decking area and pavements are now complete. 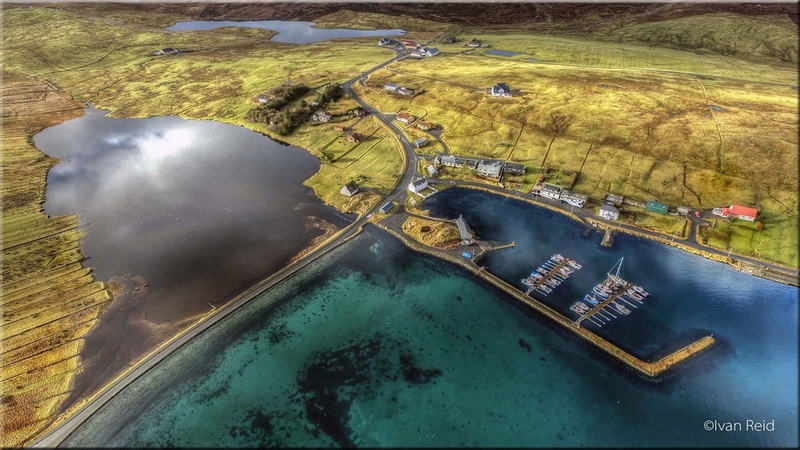 Convenient for any visitor coming to Shetland whether wishing to fish, bird watch, sight-see or simply to relax and get away from it all. This 2 bedroom property has a spacious open plan kitchen and living area which has a vaulted ceiling giving a light and airy atmosphere. 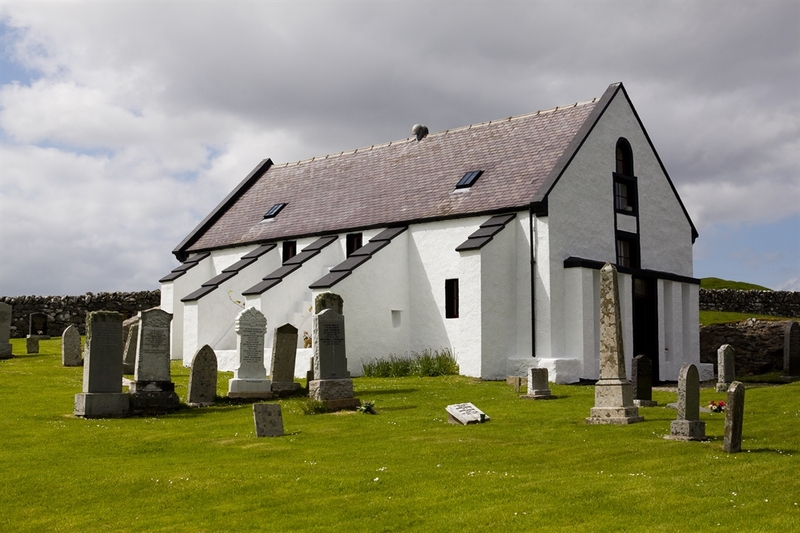 It has a king room with en-suite, twin room and the main bathroom has a bath and walk in shower. We can also provide a travel cot and high chair. There is also 4 extra folding chairs if there was any extra guest/visitors. Our utility room has a washing machine and tumble dryer and room for airing clothes and clothes line outside. 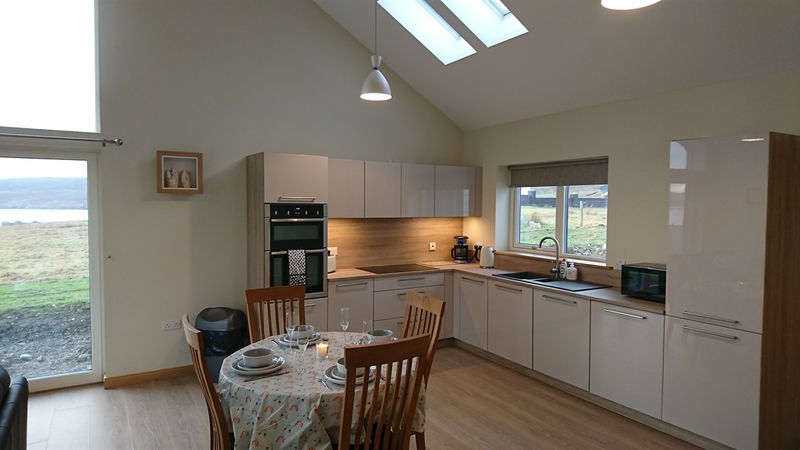 The kitchen is well equipped with fridge/freezer, dish washer, double over and grill, microwave and an induction hob. The living area has a 46" tv with free sat and dvd player, bt wifi, a cd player with iPhone doc and usb port, there is some toys and books to keep any little ones entertained. We are very lucky to have a hot spot for otter sighting on our door step just a short walk down the field. 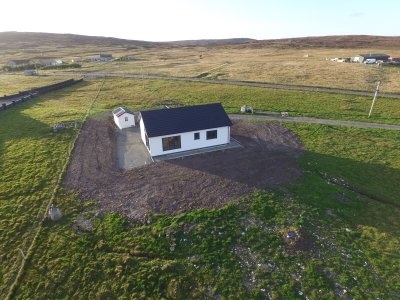 The sea views and costal walks makes this an ideal tranquil location. 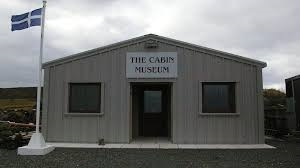 Vidlin has a brilliant local shop just 1 mile in the road, If the World Wars are one of your interests then the cabin museum is a must to visit and just 100m up the road from our property. 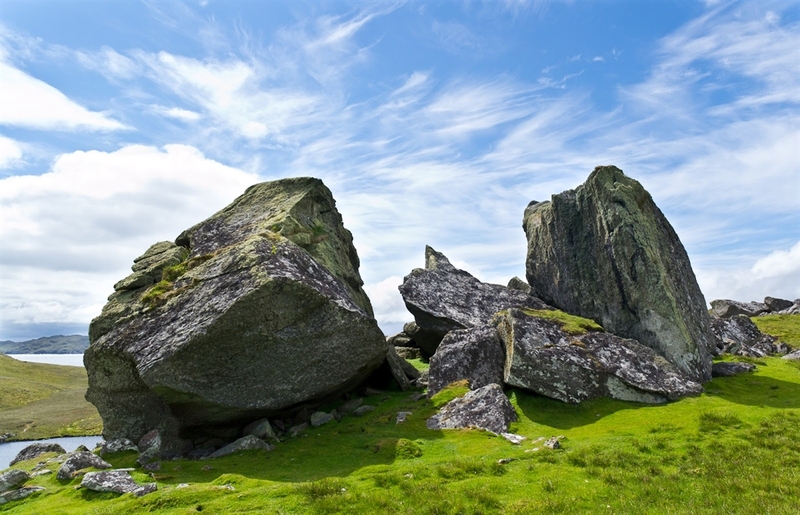 There is a local antique seller Frank Watt out past Lunna at a place called ootrabister. 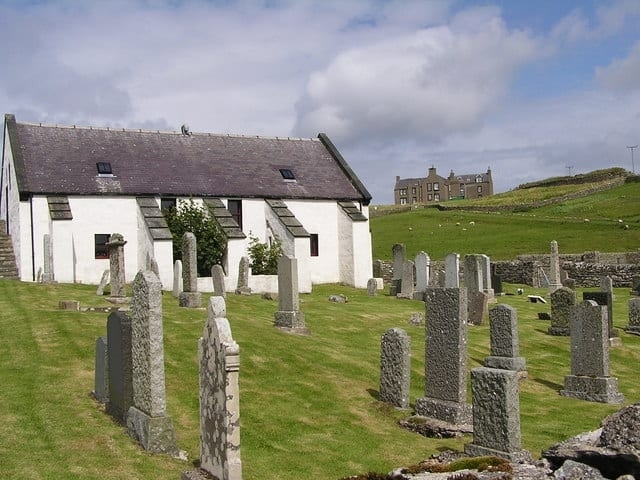 Lunna has the oldest used kirk in Shetland and offers stunning views and walks, you can also get your fresh eggs from the honesty box at lunna farm.